The first of the year and a first for the country, the city of Lisbon is the host for the forthcoming Seamaster 2019 ITTF Challenge Plus Portugal Open; play commences with the two day qualification tournament on Wednesday 13th February and concludes with the finals on Sunday 17th February. 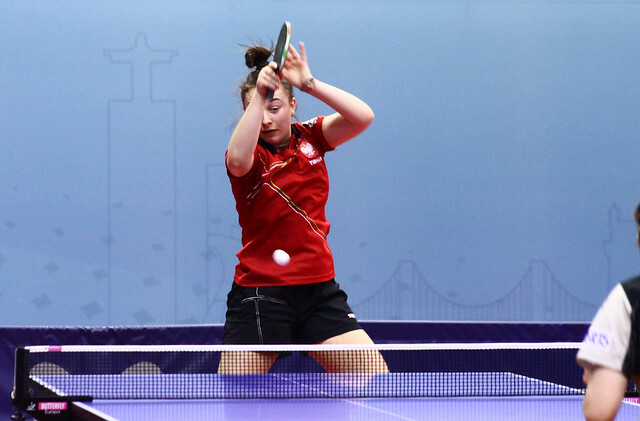 Notably in 2015, Lisbon hosted the ITTF World Tour Grand Finals but it is the first time that Portugal has been the home for an open international tournament which is a member of either the ITTF World Tour or the ITTF Challenge Series. A first for Portugal, the first Challenge Series tournament of the year and a major challenge; a full house of events comprises the schedule – men’s singles, women’s singles, men’s doubles, women’s doubles, mixed doubles, under 21 men’s singles and under 21 singles – an itinerary that will feature in all six Challenge Series Plus tournaments this year. The schedule in Oman, DPR Korea, Nigeria, Paraguay and Canada will be the same. In the remaining ten Challenge Series tournaments, the one difference is that there is no mixed doubles. Most encouraging but the most encouraging factor is the quality of the entry that is on view in Lisbon; just simply note the name at the top of the order in the women’s singles event, it is that of China’s Liu Shiwen, in addition to a host of other titles, four times winner of the Women’s World Cup sets her on a pedestal. Similarly, scan your eyes across to the men’s entry and that of Vladimir Samsonov of Belarus appears; the winner of more ITTF World Tour men’s singles titles, a total 27 in number, than any other player in the history of the sport. Moreover, he is only the no.4 seed in the men’s singles event; the winners at the two most recent Seamaster ITTF World Tour tournaments appear are listed higher. China’s Lin Gaoyuan, the winner last month in Hungary heads the order; colleague Liang Jingkun, successful some three months ago in Austria is the no. 4 seed. Denmark’s Jonathan Groth, yet to reach such heights, is the no.2 seed. Meanwhile, Japan’s Hitomi Sato and Saki Shibata followed by Austria’s Sofia Polcanova complete the top four names in the women’s singles competition. A mouth-watering tournament awaits; we ponder when play comes to a conclusion who will be the champions but I suggest we have one conclusion before a ball is hit in anger, the international tournament scene has never been healthier.